Surgery of any sort requires preparation on the part of the patient. As such, patients who are about to undergo orthopedic surgery must take a number of steps to get ready for the procedure and the recovery process afterward. 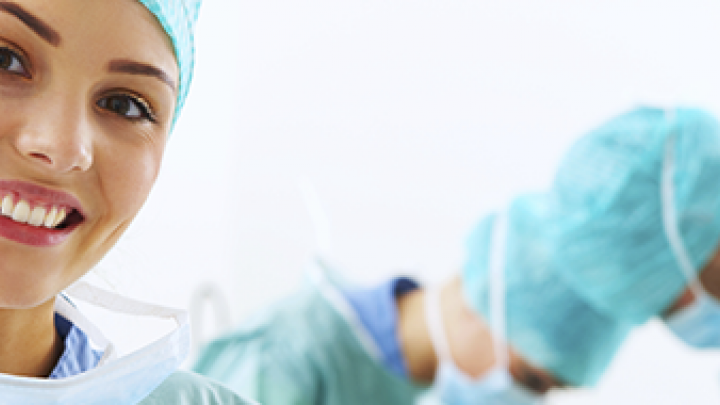 Orthopedic surgery is the branch of surgery dealing with musculoskeletal conditions. People may require orthopedic surgery due to damage from arthritis, sports injury, fractures and dislocations, ruptured discs, low back pain, bone tumors and a variety of other conditions. The following article provides some tips to help patients prepare for orthopedic surgery. While these tips may give you a general game plan, your surgeon is likely to provide more detailed instructions for your specific surgery and needs. First and foremost, it's key that you understand the surgery you are about to have. Ask your doctor what you should expect before, during and after the procedure. And remember the old adage: "there's no such thing as a stupid question." If you have a certain concern, it's likely that other patients have wondered the same thing. So make sure your doctor or surgeon answers all of your questions. Knowing more will better prepare you for the surgery and recovery that you are about to go through. Once you are informed about the specifics of your surgery, find out if your insurance covers the procedure as well as any follow-up care that you may need. Some surgeries require pre-op clearance. That is, you may need an electrocardiogram, or EKG (a test that measures the electrical activity of the heart), or other lab tests before being allowed to undergo surgery. Ask your doctor or surgeon if you need pre-op clearance for your specific orthopedic procedure. Before arriving at the hospital, you will need to gather some items and information. Some of these items are for your surgeon and nurses, while others you may need during the recovery process. Your healthcare provider may ask about your insurance coverage, medical history, current medications and medical directives among other things. Spending a couple weeks gathering this information can make the surgery process easier and faster. You are unlikely to need much else than the list above. Hospitals usually provide patients with most necessary items, such as tooth brushes, bed clothes and even slippers. If possible, try to fill your prescriptions before surgery, as you may not be in a state to get your prescriptions afterward. In addition, make sure to prepare your home for your return. Get your groceries ahead of time. Plan for any special needs you may have post-surgery. It is likely that you will be instructed not to eat or drink anything after midnight the night before surgery. So don't forget to steer clear of food and liquids the day of surgery. Wear comfortable clothing to the hospital. Casual, loose-fitting clothing such as jogging suits or sweat pants are good choices. Don't wear contact lenses, jewelry, makeup, nail polish, lotions, deodorant, cologne or perfume. Don't come to the hospital alone. Surgery can make even the strongest of patients woozy and weak. As such, you will need someone to drive you home after the procedure. Ask a friend or family member to be there for you. Upon arriving at the hospital, you will be given an ID wrist band. It's important to keep this on at all times. Without it, your doctors or nurses may not know the care you should receive. If your ID band falls off, get it replaced as soon as possible. Because you may feel dizzy, groggy and sleepy after surgery, do not drive, sign important papers or make serious decisions in the 24 hours after surgery. Avoid medication errors. Know what medications you are receiving and what they look like. Medications you are used to taking at home may look different in the hospital. It is crucial to be able to identify your medications before putting them in your body. Take special care not to fall. You have just been through a surgery to repair a musculoskeletal problem. A fall could cause further damage and reverse the improvements made from the surgery. Falls can happen when patients fail to follow the instructions of their doctors and nurses, don't turn on the lights at night, get into wheelchairs that are not secured or faint in showers that are too hot. Preparing for surgery and the recovery process is as much an important step as the surgery itself. Poor preparation could lead to complications that may make your musculoskeletal problem even worse. While this article offers general guidance to help you prepare for orthopedic surgery, your doctor is your best resource for information on your surgery and recovery. Work closely with your doctor to decide if surgery is your best treatment option. American Academy of Orthopaedic Surgeons, "Preparing for Surgery" American Academy of Orthopaedic Surgeons, "Career in Orthopaedics" Baylor Clinic Orthopedic Surgery, "Preparing for Surgery" KSF Orthopaedic Center, "Preparing for Orthopedic Surgery"